Spring Training is going by fast. There's still some time until Opening Day finally arrives, but until then the Yankees have a few things to watch. It's been a challenging spring, some of it complicated by injuries, but there are other concerns. Question is are they big or small problems and do they follow the Yankees into the start of the regular season? It sure sounds like the injury that the Yankees think is no big deal is turning into a big deal. 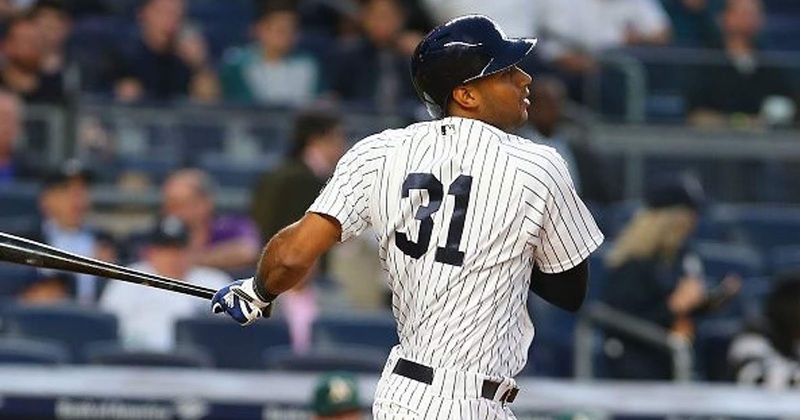 Aaron Hicks is still experiencing back discomfort and will see a doctor today. Hicks hasn't felt 100% since March 1st when he first felt discomfort during batting practice and then again in a spring training appearance. He's improved some since but he's not 100% yet. Aaron Boone said they are taking a conservative approach with it but with almost two weeks of discomfort and missed time should the Yankees be more concerned about his condition? Hopefully today's doctor visit will bring some insight and a good plan to get him healthy again. It was nice to see Troy Tulowitzki start spring with a bang with two home runs in his first three games as a Yankee. His last three games haven't been as good with his 0-for-8 record and six strikeouts. The Yankees aren't worried though, they will continue to give him reps to work through it. Whether the Yankees want Tulo to be attracting this kind of concern or not he will. After all, Tulo is the guy the Yankees signed instead of Manny Machado. He's also the guy the Blue Jays released after missing all of 2018 due to surgery for bone spurs in both heels. He will be under the radar no matter what. 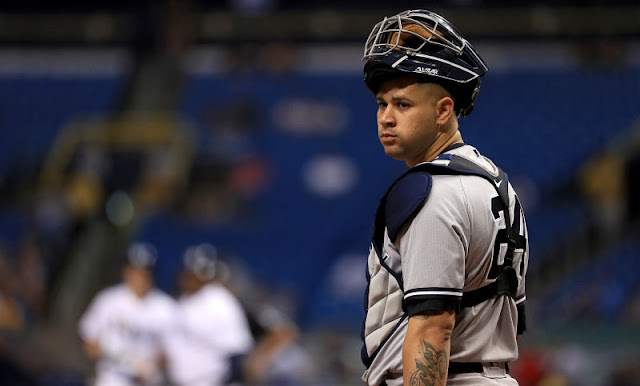 The Yankees are counting on a rebound season from Gary Sanchez. They are looking for 2017 Sanchez instead of 2018 Sanchez who had a .186 BA, 18 home runs in 89 games. Sure, the injuries didn't help but if the Yankees can get the 2017 Sanchez back it makes the lineup that much deeper and really gives the Yankees an edge. So far Sanchez has only had 11 at-bats but also has a 0.91 BA which will only make the spotlight on him even brighter. The New York Post has a great breakdown on this one HERE. According to Boone the Yankees will be forced to make a decision between Luke Voit and Greg Bird. There's only room for one. The other won't be a backup. 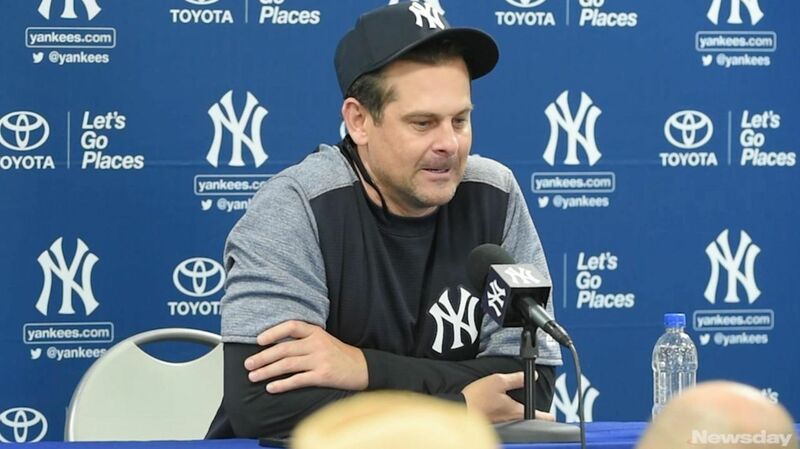 I guess the best way to put it really is "two automobiles don’t fit into a one-car garage" so who should the Yankees give the job too? Is Bird doing enough to prove that he is the guy we first saw in 2015? 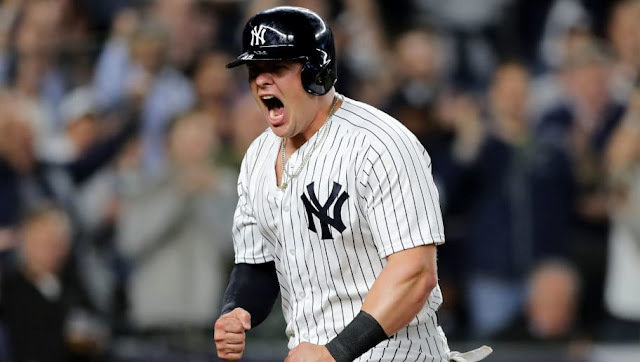 Can Voit prove that he still deserves the spot he was given last season? 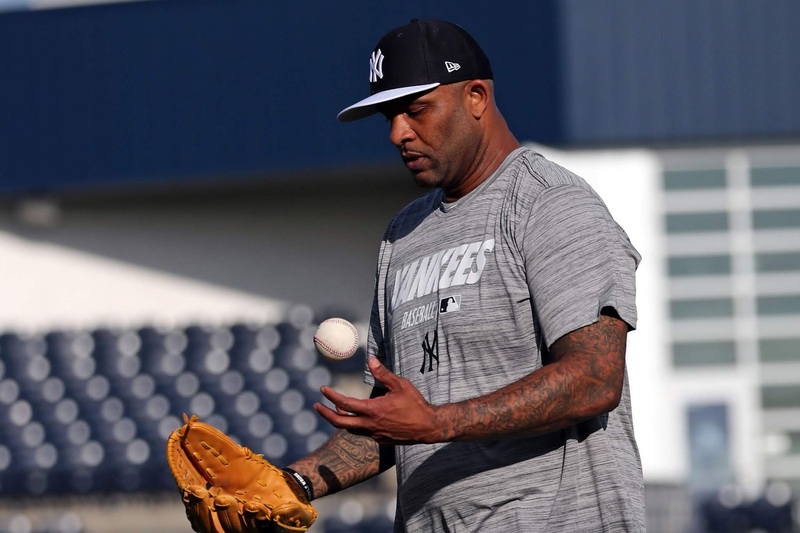 The Yankees will start the season with CC Sabathia and Luis Severino on the disabled list. The Yankees have three internal candidates to fill-in the rotation, but they all come with question marks due to previous inconsistencies in other big-league appearances. Can Jonathan Loaisiga, Domingo German or Luis Cessa effectively do the job until the Yankees return to full strength? So far Cessa has had the most success of the candidates, as he has allowed just one run over five innings over two outings. 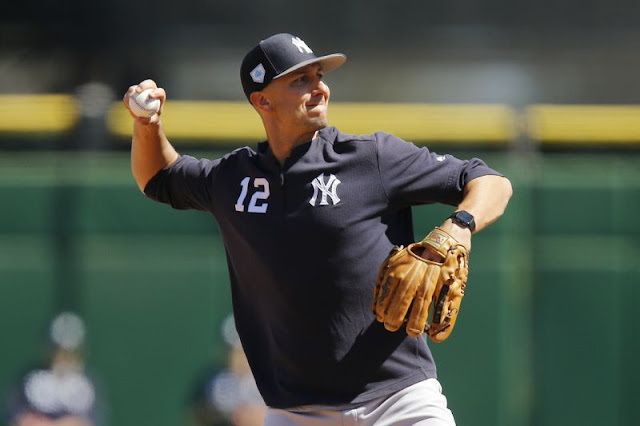 There have already been rumors about the Yankees possibly adding some rotation depth, and Gio Gonzalez has been a popular name. If the Yankees lose anymore rotation depth, could they possibly add a guy like Gio? At this point, should they even wait? We are five days into Severino's two weeks on no-throwing and Boone has some optimism. He says Severino isn't experiencing the pain he did almost a week ago. He is still sore from the cortisone shot but he is getting better every day. After his two weeks are up he will be reevaluated and if his shoulder discomfort is gone he will be cleared to start his spring training all over again. He will start by playing catch and progress his way back. 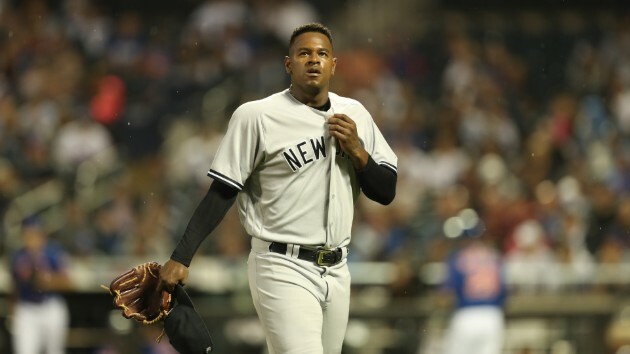 But even if all goes according to plan we won't see Severino until late April or early May. For now it is good news but, it is a shoulder injury after all. Shoulder injuries are always a concern for a pitcher, so can the Yankees and Severino really breathe a sigh of relief at this point?